If you have been been arrested for Driving While Intoxicated in New York State it is important that you hire an experienced criminal lawyer to represent you. This is important because the list of penalties associated with a DWI conviction has continued to grow. Most recently, new DMV Regulations have been instituted for multiple DWI offenders that for some will result in a Lifetime Revocation of their driver's license. Any Revocation triggers a "Lifetime Review" of your driving record upon re-aplication to restore your driving privileges. Other changes in penalties have occurred, including the requirement of first time DWI offenders to install an Ignition Interlock Device (IID) at their own expense. DWI law in NY has become seriously complicated and very punitive in nature over the years ( See more detailed information about DWI). Driving While Ability Impaired is an offense where the driver has consumed alcohol to the extent that he or she becomes impaired and lacks the physical and mental abilities for which he or she is expected to possess in order to operate a motor vehicle as a reasonable and prudent driver (People v. Cruz, 48 N.Y.2d 419, 423 N.Y.S.2d 625 (1979)). DWAI is a traffic infraction, not a crime punishable by a maximum of 15 days in jail. 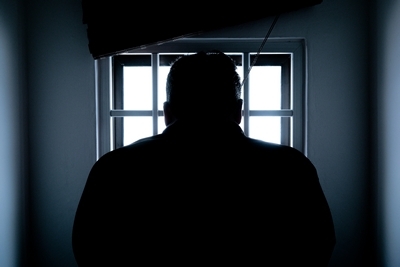 DWI is sometimes reduced to DWAI in the plea bargaining process. If you refuse to submit to a chemical test the DMV will hold a hearing to determine whether you refused the chemical test. If the Administrative Law Judge (ALJ) finds you refused you will receive an Administrative Punishment by the DMV. The punishment is separate from any DWI charges that may be brought against you in Court. ADWI - Aggregated Driving While Intoxicated - Arrest for DWI with a BAC of .18% or Higher. ADWIC - Aggravated Driving While Intoxicated with a Child - Arrested for ADWI, DWI or DWAI with a child 15 years old or younger in the car. BAC - Blood Alcohol Content - 0.10% means that there are 0.10 g of alcohol for every dL of blood. CD - Conditional License - License granted to people who enter the DDP after a Conviction for ADWI, DWI and DWAI. CDL - Commercial Drivers License. DDP - Drinker Driver Program - Enables you to get a Conditional License. DMV - Department of Motor Vehicles. DRA - Driver Responsibility Assessment - Surcharge imposed by the DMV (most commonly for DWI convictions and chemical test refusals). DWAI - Driving While Ability Impaired by Alcohol and/or Drugs. DWI - Driving While Intoxicated by Alcohol or Drugs. HL - Hardship License - If your are SPP it is a license sometimes awarded at Arraignment so you can drive to and from work. IID - Ignition Interlock Device - Device installed on car to prevent ignition from starting if you blow into it after consuming alcohol. SPP - Suspended Pending Prosecution - License Suspension at Arraignment because you tested as having a BAC of .08% or more, or you refused a chemical test. If you took the chemical test you may be eligible for a hardship license. If you don't get a hardship license you may be eligible for a conditional license in 30 days. If you refused the chemical test your license will be suspended for 14 days until the DMV refusal hearing is held, unless the officer did not prepare a report of refusal. If the DMV Judge (ALJ) finds that you refused, then your suspension continues for a year (or more). If the Judge finds that you did not refuse your license will be restored pending the outcome of the Court Case. RO - Repeat Offenders - New Regulations by the NY DMV effecting repeat DWI offenders. VIP - Victim Impact Panel - When a driver is convicted of DWI the offender's sentence usually includes a requirement that the offender attend a Victim Impact Panel. Need Help With Your DWI Case?